Compact hatchbacks are one of the most popular forms of personal transport, anywhere in the world. With their compact size, they are typically cheaper to buy and cheaper to run, easy to drive and yet, offer enough space for a family of four to five. 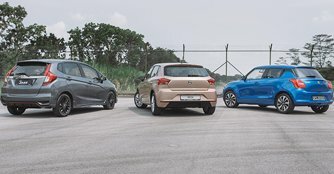 In Singapore, the number of choices for a compact hatchback has recently grown, with the introduction of the new Suzuki Swift a month ago. At $83,900 the Swift is priced in between the $79,900 Seat Ibiza and the recently facelifted poster boy of the segment, the $88,999 Honda Jazz RS (as of 21st August 2018). Does this mean that the Swift is a better car than the Ibiza? And how good is it next to the slightly larger Jazz RS? We spent a day finding out. While most buyers looking at a compact hatchback won't be too bothered by how it looks but rather how much car they're getting for the money, it can make or break the deal. After all, first impressions count and in this aspect, the Jazz RS is the one that makes the strongest case. Its boxy shape, sharper body kit, and blacked out wheels and wing mirrors make it the sportiest-looking of the three. However, those who prefer a more mature design would likely gravitate towards the Ibiza, which also looks like the most expensive car here. In the case of the Swift, let's just say we're slightly undecided over how it looks. But practicality takes precedence, right? Well, of course, if space was of utmost priority with your purchase, then the Jazz RS would again be the best choice here. 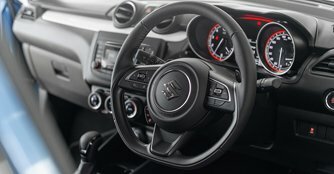 Despite the Ibiza having the largest wheelbase of 2,564mm, clever packaging within the Jazz RS makes it the car with the most spacious rear legroom and the airiest cabin. 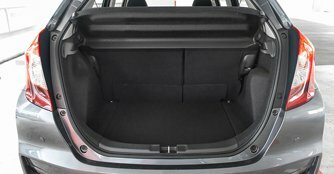 The Jazz RS also offers the most amount of boot space, measuring 363 litres, which outsizes the Ibiza's 355 litres and drastically overshadows the Swift's 264 litres. While spaciousness does rank high in most people's lists of requirements, so should overall fit and finish, at least for us. And this is where the Jazz RS loses some of its otherwise outstanding appeal. 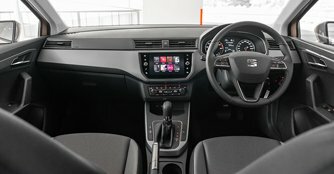 Compared to the Ibiza, which costs a good 10 grand less, the cabin panels in the Jazz are of less impressive quality and feel cheaper to the touch. 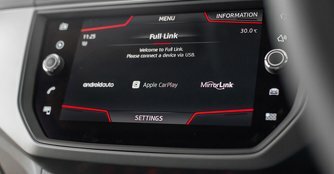 It is here that the former's European qualities come to shine, especially its high-resolution, touchscreen infotainment system, which is also the only one that's equipped with Apple CarPlay. There also seems to be less sound dampening materials fitted in the Jazz RS compared to the Ibiza, which is probably why the strain of its engine is audibly noticeable from the driver's seat. With the cabin of the Swift, its sportier, more youthful layout, is more pleasing to the eyes. But to be fair, the Swift is a much newer model targeted at a younger group of buyers. The one letdown in the Swift is its old-fashioned single-din head unit. 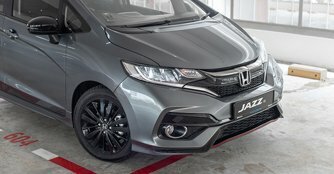 Another drawback of the Jazz RS, especially for the safety-conscious is that it only comes with two airbags, while its Seat and Suzuki rivals have six. What about how they drive? On paper, the Jazz RS, with the highest horsepower rated at 129bhp, should be the fastest car in this comparison. 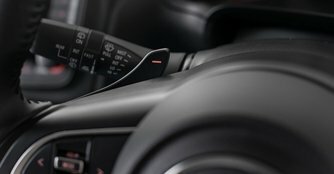 But two things say otherwise: Its naturally aspirated engine, which is down on torque compared to the other two, and Honda's choice of a CVT transmission. Due to the aforementioned factors, it is the Jazz RS that offers the least punch when you're pulling away from the lights. The Ibiza feels the quickest, with 200Nm of torque (despite having only 114bhp), and the Swift comes in a close second with 109bhp, 160Nm of torque and a sub-1,000kg kerb weight (it is the lightest car of the three). The Swift is also the most fun one to drive, offering a zippy experience that we especially enjoyed along Lim Chu Kang's backroads. 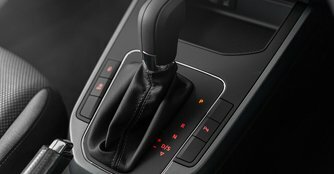 The Ibiza doesn't fare too badly either when thrown around corners, and it offers the most refined driving experience as well as the best fuel economy of 18.5km/L. The Jazz RS clocked 15.5km/L while the Swift did 14.1km/L (but probably because we were driving it a little more spiritedly). But what it lacks in performance, the Jazz RS makes up for with a ride that's softer-sprung than the Ibiza or Swift. While we wouldn't consider the latter two uncomfortable to be in, older folks may not be as accustomed to their sportier (read: stiffer) suspensions, especially in the back seat. The perfect combination would be the Jazz RS' cavernous cabin, the Ibiza's fit, finish and overall refinement, and the Swift's fun-to-drive characteristics. But the perfect world doesn't exist and neither do perfect cars. If we were in our 20s, the perky Swift would be the one to have. If we were in our 30s and wanted to enjoy something a little fancier, the Ibiza would be our pick. But when family duties are something we can't ignore, then the faithful Jazz RS would be the answer. Plus, at the very least, we'd be able to ferry the kids around in style. Anyone want to sell me your Honda Jazz or Toyota Vios?